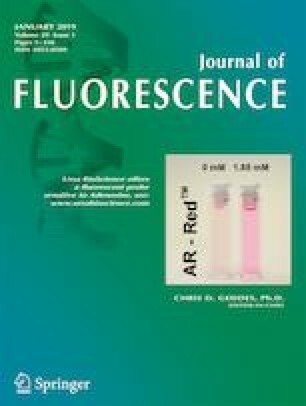 The fluorescence probes di-4-ANEPPDHQ and F2N12S have solvochromatic emission spectra and fluorescence lifetimes that are sensitive to order within the environment of lipid membranes. We show in this communication that the time-resolved fluorescence anisotropy of these probes, analyzed either by the wobble-in-a-cone model or by the model-independent order parameter S2, provides complementary information about dynamics and lipid packing in a variety of homogeneous lipid membranes systems. The online version of this article ( https://doi.org/10.1007/s10895-019-02363-7) contains supplementary material, which is available to authorized users. The research in this publication was performed in the BioSpectroscopy Core Research Laboratory at the University of Montana, which is supported by National Institute of General Medical Sciences (NIGMS) of the National Institutes of Health CoBRE award P20 GM103546 to the Center for Biomolecular Structure and Dynamics. Additional funding was provided by National Institutes of Health (NIGMS) CoBRE award P30 GM103338 and National Institute of Environmental Health Sciences (NIEHS) award R01 ES023209. DSA received support from the NIEHS of the National Institutes of Health under NSRA award number F32 ES027324. The content is solely the responsibility of the authors and does not necessarily represent the official views of the National Institutes of Health.